By Maureen Morrison . Published on January 10, 2014. Stolichnaya Vodka's U.S. division is launching a global creative agency review. 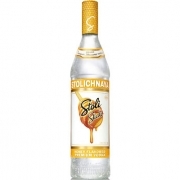 The marketer sent agencies a request-for-information recently saying it is seeking an agency-of-record to develop "a strategic communications platform and advertising campaign" for the Stoli brand. 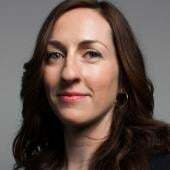 It's understood that Lori Tieszen, CMO and senior VP-marketing at Stoli Group USA , is leading the review. WPP's Berlin Cameron won the global creative account in mid-2011. Prior to that, the business was at WPP's Ogilvy & Mather. Sarah Gorvitz, brand director for Stoli premium and flavors, confirmed the agency search in an interview. "We will not be moving forward with Berlin," she said. "They have have been a phenomenal agency," she added, but the brand decided to make a change in the midst of significant management changes. Stoli's parent company, SPI Group, recently ended its relationship with William Grant & Sons, its distributor in the U.S. As of Jan. 1, SPI is instead directly managing its portfolio of brands in the U.S. through Stoli Group USA, which is led by former Bacardi USA president John Esposito. Berlin Cameron did not respond to a request for comment. Horizon Media recently won the media account, but the agency declined to comment. Digital and social media, which is at Rokkan, is believed to be excluded from the review. PR was recently shifted from Susan Magrino Agency, which works for William Grant, to Golin Harris, New York, Ms. Gorvitz confirmed. Mr. Esposito recently told alcohol trade publication Shanken News Daily that the company plans to refocus its position "as a classic," with an emphasis on the brands core offering and "quality credentials." He added that Stoli plans to phase out some of its 17 flavors in response to the overcrowding of the flavored-vodka segment. Stoli in 2012 spent about $5.1 million on U.S. measured media, according to Kantar Media, but the brand significantly slashed its measured-media spending in the first nine months of 2013 down to $485,000. Ms. Gorvitz said that "we are planning to maintain 'originality' as the key territory for the brand," but the new campaign, which will be rolled out globally, will "have a stronger focus on the product." Stoli was in the news this summer when opponents of the Russian government's anti-gay policies urged a boycott of the brand, citing its Russian heritage. SPI Group, which is based in Luxembourg, responded by downplaying its Russian links. Ms. Gorvitz hinted that the brand would soon be announcing new initiatives in support of the gay community, but did not provide details.